Zina here! 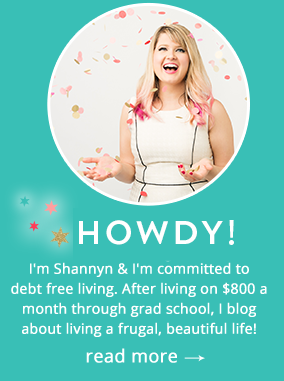 I’m a big fan of credit cards, at least if you’re a responsible user and pay off your balance each month. When used wisely, credit cards can offer extra purchase protection, extended warranties and cash back rewards. One popular form of credit cards is the store card, normally tied to one merchant (or a family of merchants). These are great for people who frequent certain stores and can be trusted not to run up a huge bill. You often get a big sign up bonus for store credit cards, which can be great if you’re making a huge purchase and need extra savings. They can also be great for more everyday purchases and for building your credit history. 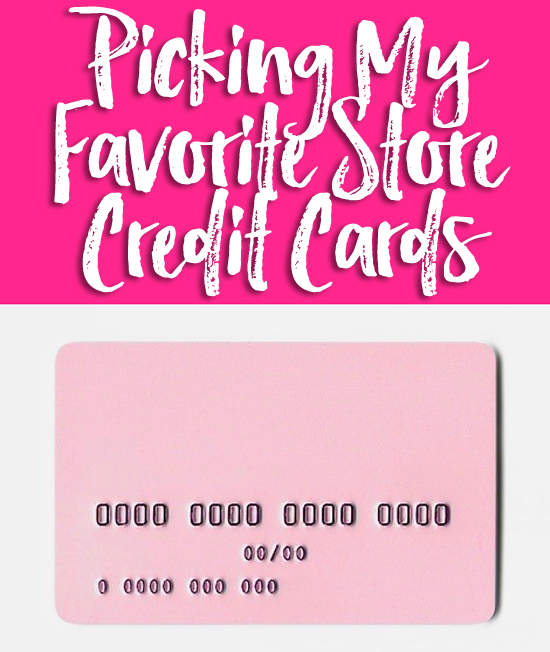 Of course, you should always be careful if you’ve had a history of emotional spending or you are tempted to use cards to buy things you don’t need or can’t pay for- otherwise though, cards can be a smart way to build credit and get some perks! Gap, Banana Republic and Old Navy all allow you to earn extra rewards at each of the three stores. The best part is if you have a BR or Gap card, you can redeem those rewards at any of the three stores. They also have occasional bonus ways you can earn points like making one purchase outside of their brands. I currently have about $100 in rewards dollars which can add up if you’re shopping during sales or clearance events. Target’s Red Card is famous for its 5% off discount, but one of the best benefits is its free shipping – no matter how much you spend. Since Target is infamous for making people spend more money than they want to, having free shipping means I can order only what I need and nothing more. One of my favorite features about the Red Card is that you can sign up for the debit option, so every time you shop at Target, it withdraws money from your bank account. I love that it doesn’t work as a credit card and it’s one less bill I have to worry about every month. I’ve actually never had the Nordstrom card, but have watched my friends use it. Sometimes they offer double or triple rewards points (usually during a sale). One of the best perks of the card is free alterations (up to a certain amount) if you bought something in-store. That’s an amazing perk if you’re like me and can never find pants that fit my 5″3 frame. I get a lot of my clothes altered now and having this card would save me money and time (they alter them in store). A friend of mine got her bridesmaid’s dress from Nordstrom Rack (for only $54) and had it taken in from a Nordstrom seamstress. Saving money AND time? Sold. The only danger of store rewards cards is that you might think you’re saving money while you’re shopping. Remember, if you’re buying something you wouldn’t have bought without the rewards card, you haven’t saved any money. Think about where you shop constantly and see if they offer a rewards credit card. Sometimes I’ve signed up for ones just to save an extra 20% at check-out and then canceled the card later. But other times the card has proved to be useful and I’ve kept it around. Another perk of a Nordstrom card is the Nordstrom rewards- basically like a gift card when you spend a certain amount. I recently learned you don’t have to have a Nordstrom card to earn these however, you can just link your phone number and email and still get the benefit of Nordstrom rewards! I have a few cards, it’s a great way to get perks!